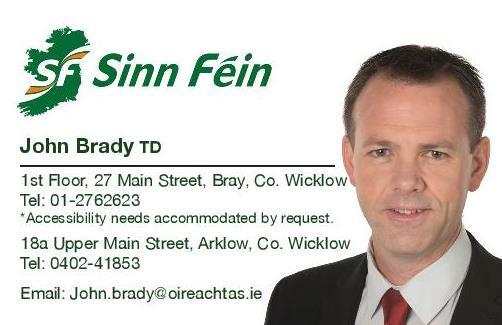 “While many of us are starting to buy Christmas presents and buying all the trimmings for our festive dinner, it's important to remember that this is a time to give to those who might not be looking forward to the same kind of Christmas. For some people it's the roughest, toughest and coldest time of the year. 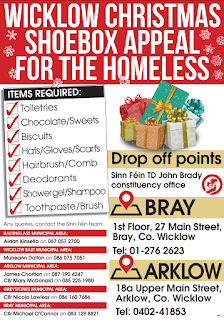 With almost 9,000 people now homeless including 3,500 children, the Wicklow Sinn Fein team will be doing all we can to help those that need it the most, that’s why we have launched our Shoe Box appeal. 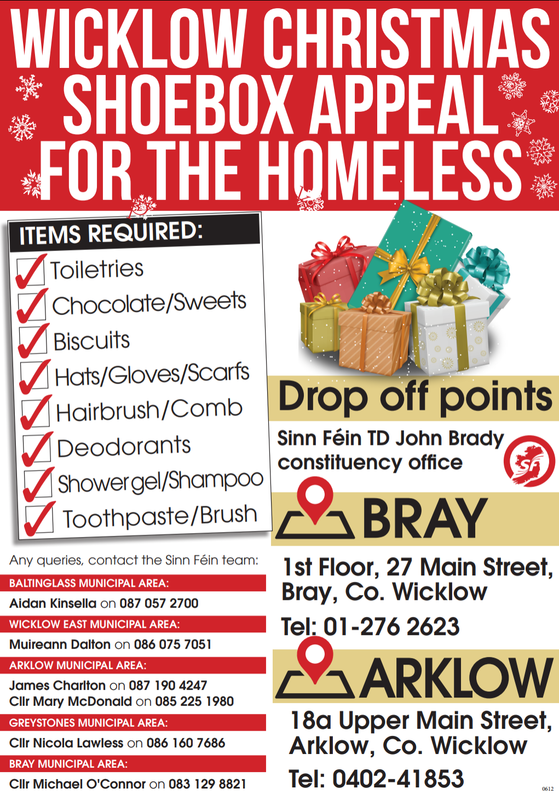 “We are asking the people of Wicklow to do your bit and grab a few things to put in a shoe box for the homeless this Christmas. It couldn't be easier to get your hands on these bits 'n' bobs and to put them in a shoe box and wrap them up and you'll make someone's Christmas.